I’ve said it right here on these very pages: If hardware is hard, robotics are next to impossible. That truism is not better exemplified by this week’s closure of Rethink Robotics. A well-respected name in automation, the Boston-based company produced a pair of robotics that have become mainstays in research facilities and warehouse floors alike. Rumors of the Rodney Brooks-led startup had been floating around the robotics industry for some time now, but that doesn’t make the closure any less impactful. In the company’s decade-long existence, it produced Baxter and Sawyer, two of the most iconic robots in the collaborative category. Given the difficulty of maintaining in the category, perhaps none of this ought to be a surprise. During its existence the 100-person team raised nearly $150 million by Crunchbase’s count, but that ultimately wasn’t enough for it to continue down its path. 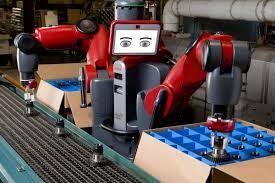 If this was 2012, perhaps Amazon might have eyed the company while building its own robotics wing atop Kiva systems. Two years later, the company might have been a good fit for Andy Rubin’s nascent Google Robotics, which had its eyes firmly set on factory automation. Even now, SoftBank’s deep pockets could have gone a long ways toward keeping it afloat — after all, the financial giant was more than happy to take Boston Dynamics off Google’s hands, adding it to the portfolio that already included Pepper manufacturer, Aldebaran Robotics. Ultimately, however, it sounds like the company’s demise was a confluence of factors. Certainly there appears to be some parallels that can be drawn to the 2014 closure of Bay Area-based Willow Garage, whose PR2 was previously a familiar sight in university robotics labs all over the world. Certainly there’s hope to be found in Willow Garage’s legacy, from spin-offs like Redwood Robotics to employee led companies like Fetch, to the continued existence of the ROS, the Robot Operating System.